Pros : Stunning and stylish exteriors, luxurious and elegant interiors, spacious and comfortable. Cons : Low fuel efficiency and lacks diesel option. HIII people! This is Maalti from Ajmer. I am the proud owner of the Honda Civic 1.8 V MT Sun-proof. I am using this car since last five years and if my views are to be considered then the car is just amazing and you must go for it without giving it a second thought if you are planning to buy a sedan. The car gives you the royal touch and a luxurious feeling that no other sedan gives. I personally am a big fan of hoe the car looks and this was the sole reason why I purchased the car. When I saw it on road I just felt that I ought to own this car anyhow and as soon as possible. The car is no doubt very elegantly designed and the super stylish model compliments all the colours it comes in. I label it as the best looking car. The interiors of the car are also very beautifully designed and you can feel the interest by which the car is made when you are inside the car. I love the way the dashboard and the central console is designed. The power steering is also a very elegantly designed and the comfort and the touch of class it provides is incompatible. The car is spacious enough and it has the best of features. There are a few things which bother you sometimes about the car are its low fuel efficiency and that the car is not available in diesel option. The car after one year of use started giving a relatively low mileage. Also the skyrocketing petrol prices may force one to hold his/her thought to buy a Honda Civic as it does not come in a petrol variant. Honda civic is really an awesome car with best features and best looks. 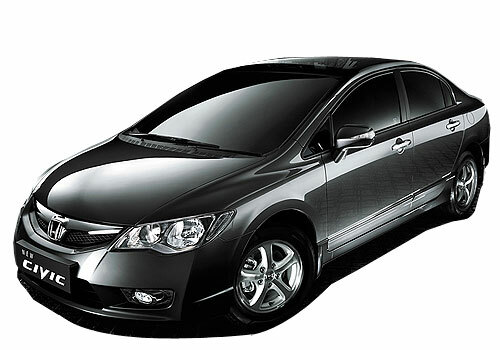 Honda Civic available in luxurious looks with luxurious features.